KLIM is a high tech and gaming company founded in 2015. As a young start-up it strives to bring quality, durable electronics on the market at a fair price. KLIM works with many gaming professionals and cyber-athletes, designing and testing its products with them before offering them to clients. Thanks to this approach, they are sure that KLIM products will meet the needs of the most demanding gamers. Offering products at reasonable prices allow everyone, no matter how tight the budget is, to play at fullest potential without being limited by the gear. 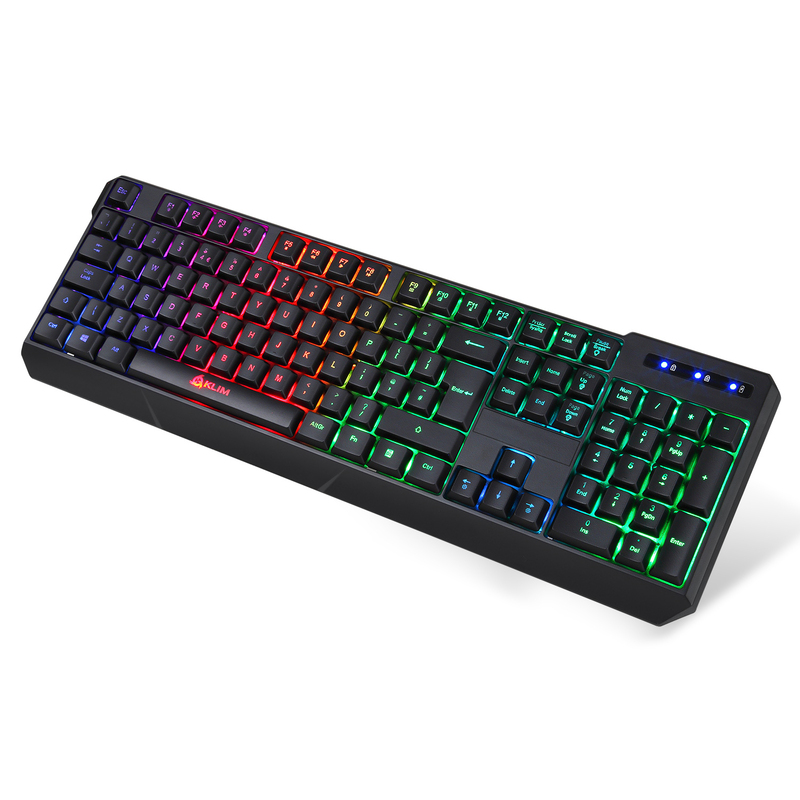 Klim offers a wide range of gaming products such as mice, keyboards, earphones, microphones, laptop coolers. Good equipment isn’t everything, but a good mouse will allow you to game at your full potential. Equipped with an ultra-reactive optical sensor, KLIM Aim mouse offers perfect tracking of one’s movements and its special coating will ensure a better grip. Besides its ambidextrous design, one will benefit from creating own macros and configuring buttons just how you want them. Fully customizable RGB backlighting thanks to KLIM dedicated drivers are a real light-show. Customizable from 500 to 7000 DPI, you will easily find the most suitable sensitivity. KLIM Chroma Wireless combines performance, aesthetics, lightness and comfort. With a lightning-fast response time of just 8 ms, it is probably the best wireless keyboard in its category. Featuring a long-lasting battery life, this keyboard is ideal to work or play comfortably on a sofa or countertop. Apart from being extremely durable, this keyboard is quiet thanks to its silent membrane keys. With a weight of only 680 g, it is very easy to carry. The KLIM Bamboo is Cooling Pad for Laptops between 10” and 15,6” built with natural bamboo wood that provides the same performance as PC gaming coolers but in a more elegant style. Equipped with two 130 mm fans, each spinning at 1300 rotations per minute, the KLIM Bamboo is extremely powerful for its size. Nevertheless, it is extremely silent, this cooler will never surpass 26 dB (decibels). Its fans rotation speed is adjustable, which lets you adapt them to your cooling needs. It is equipped with two USB ports so you can always recover one of them. 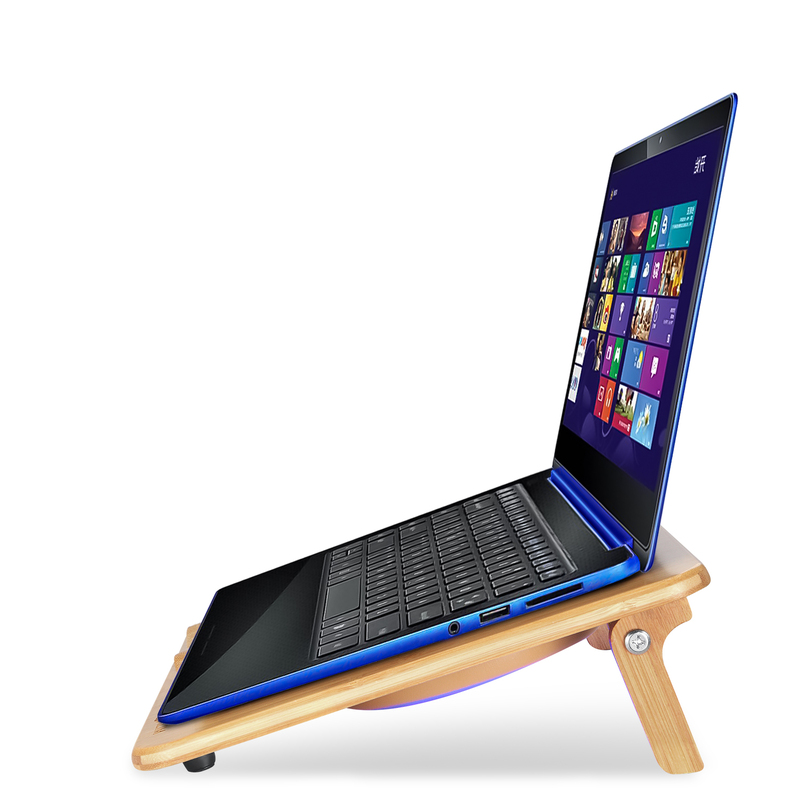 It is also fitted with rubber feet to keep it perfectly stable, and an anti-slip system to prevent the laptop from sliding down.